Littlefoot and the gang return in The Land Before Time V: The Mysterious Island. When a group of hungry leaf eaters shows up all of the herds decide to move to another valley. However, Littlefoot and a few friends find themselves on an island in the great water during the move. They find their friend chomper as well as his mean parents that are always hungry on the island. Will Littlefoot and the others find their way back to their herds? 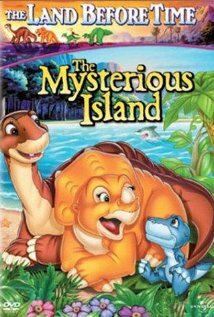 You will have to watch The Land Before Time V: The Mysterious Island to find out. This is a great movie for groups of any age. To learn more about the film, you should go to http://www.imdb.com/title/tt0123950/?ref_=sr_3. The movie gets a five out of five popcorns rating.